Choose your Whole House brand from the dropdown list or choose your system. Your Filter Depot delivers brand name and After Market air filter products to home, office, private and governmental organizations nation wide. Our complete filtration line includes premium air filtration filters, humidifier filters, air conditioner filters, water filters, vacuum filters, furnace filters, automotive filters and much more, all at low prices. Get started today by selecting the brand or type of filter you need and purchase online. Keeping your indoor air free of harmful particles and unwanted odors is possible by changing your room or whole house air filters every three months or more. 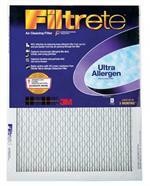 Regularly replacing your filters not only ensures maximum effectiveness but also extends the life of your air cleaner. For best results, our filters for humidifier units can be replaced every six months in hard water areas. Your Filter Depot makes it fast and easy to purchase after market brand name air cleaner filters or other types of filters online. Our user-friendly website features simple drop-down menus to help you find your filter by brand, size or category. You can even use the search box to search for humidifier or vacuum filters by model or part number. Along with quality filters, we are also proud to carry high-performance humidifier units, vacuum bags and parts and much more. Explore our site to purchase the right air filter or furnace filter sizes you need.